It’s good to be back in Chicago after a trip abroad; however, the jet leg is not treating me well. I want to go to bed at 5pm but will myself to stay awake, go to bed at a reasonable hour only to wake up at 2:30am. Hoping to be back on a regular sleeping schedule soon. I will be posting a series of food and travel blogs from my trip in the next few weeks but wanted to give my Chicago peeps something local in the meantime. 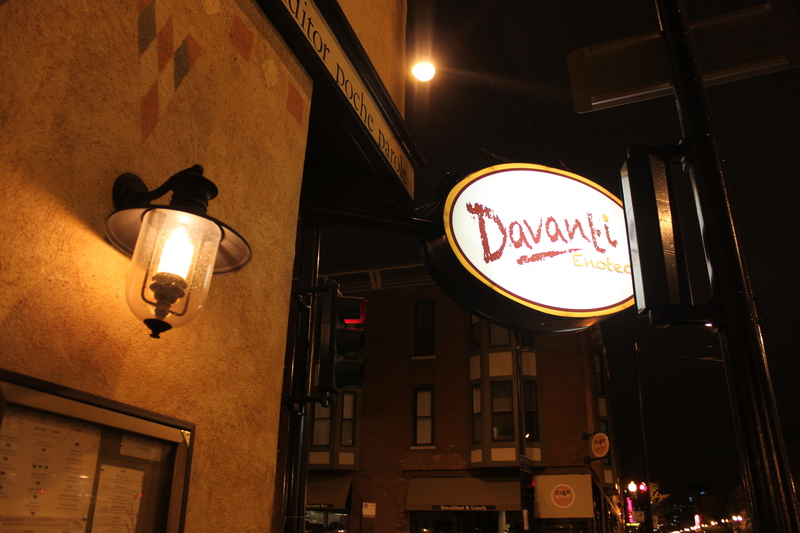 I don’t get down to University Village very often but wanted to go to Davanti Enoteca. Getting there early on a Wednesday night assured a seat right away. 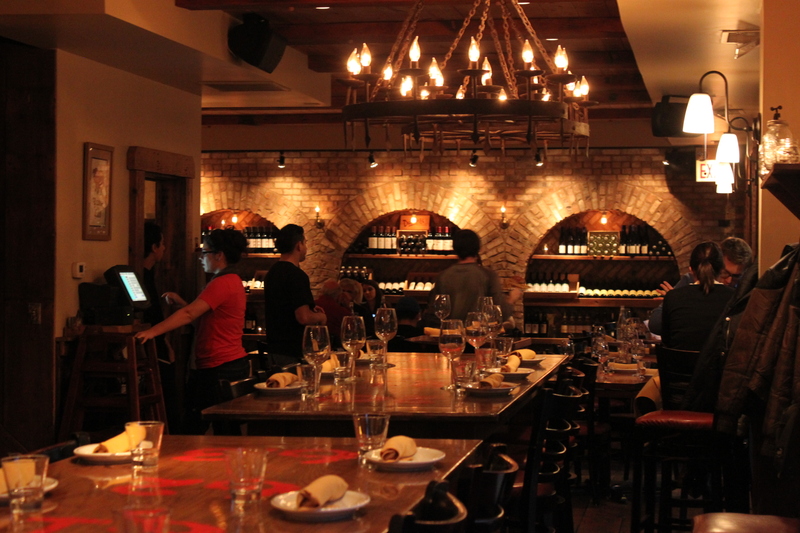 I would describe the interior as rustic, quaint and cozy. 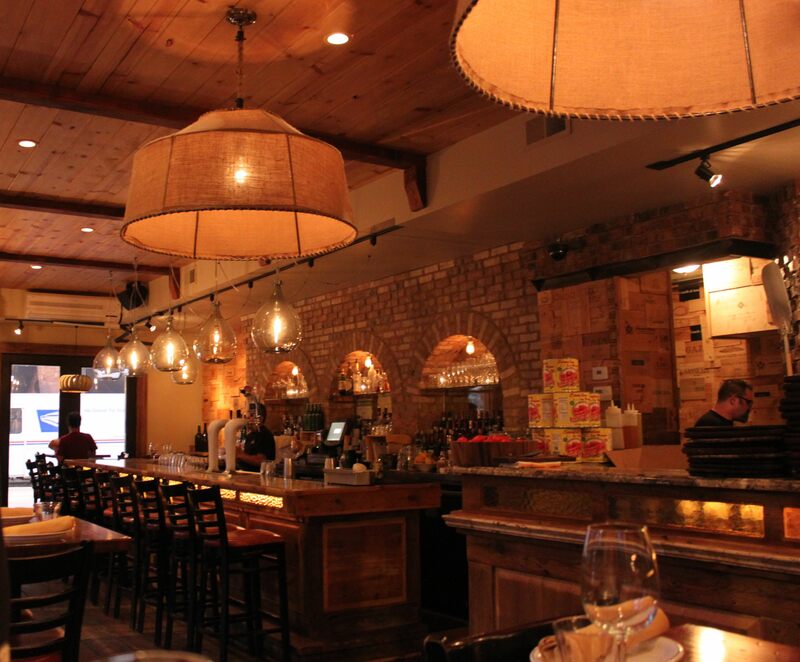 Perfect for a date but also great for dinner with friends. We sat at a high-top table across from the bar in the front of the restaurant. Our server greeted us right away (service was excellent throughout the night) and we started with a Peroni and Terre di Gioia Pinot Grigio. After letting us know the specials and how the menu works (shared small plates with some entrées) we dove into the orders right away. 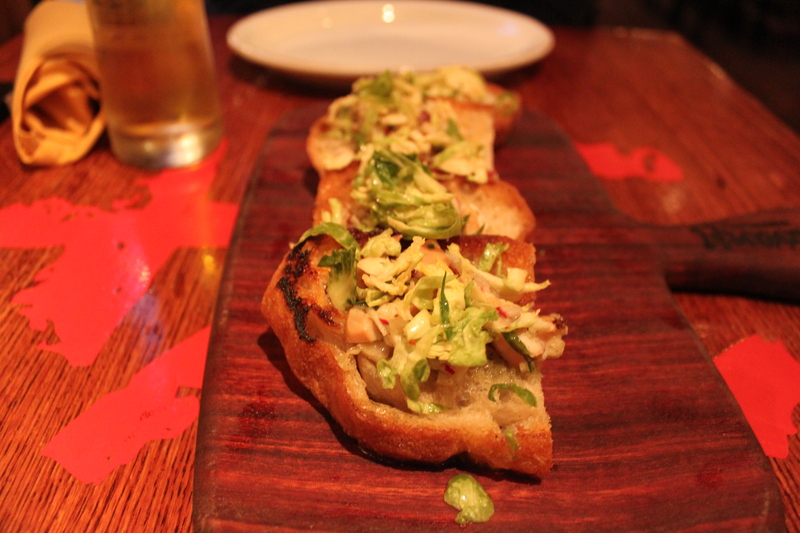 The bruschetta of the day with octopus was a refreshing departure from the run-of-the mill bruschetta. Light and airy mixed greens and perfectly cooked octopus atop toasted fresh bread. 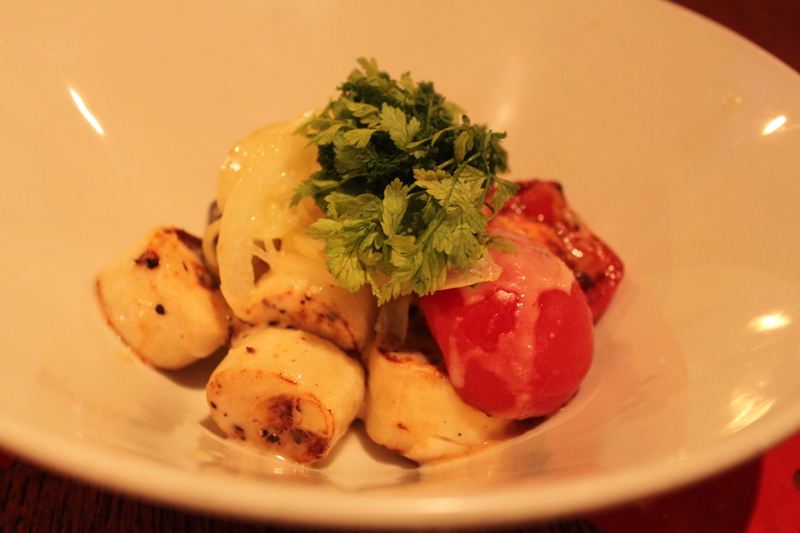 Next and one of my favorite dishes of the meal, roasted hearts of palm and marinated lemon. I love hearts of palm but don’t think I have ever had them roasted. Better late than never because this is how I want to eat them all of the time! This was a dish worth fighting over. The roasting gave the hearts a nice hearty quality and the lemon added a nice acidity that was a bit sweet as well. My only complaint is that the dish is not bigger. 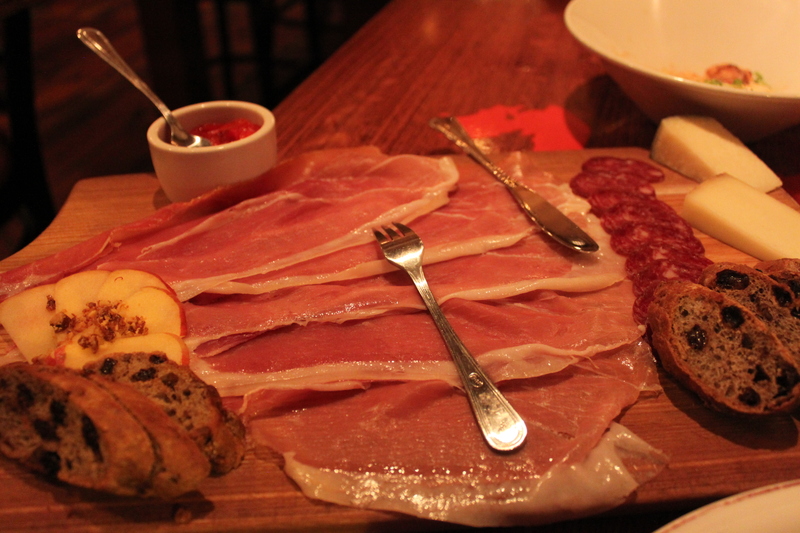 The formaggi and meat boards looked too good to pass up so went with: Caciotta Bufala, Clarissa, Prosciutto di Parma and wild boar. All very good and true to the menu descriptions. The Bufala was sweet and grassy and the Clarissa was sweet and fruity. The wild boar was hunter’s style salumi with a nice strong flavor but not as gamey as I thought it would taste. 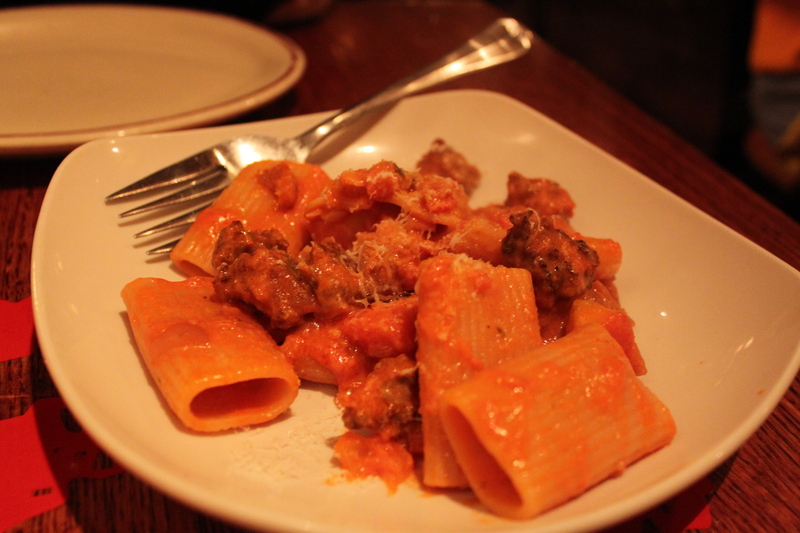 For the entrées we ordered the Paccheri con Salsiccia: Giant rigatoni, sausage, oven-roasted tomato, Parmigiano. Great sauce and quality sausage made this dish worthy of ordering again (I do wish there was more of it though). Maiale e Ricotta Gnudi: Grilled pork cheek, grana padano and ricotta gnudi. This was my other favorite dish of the night. Like the heart of palms I was a little disappointed in the portion size but it turns out this dish is so rich it is small for a reason. 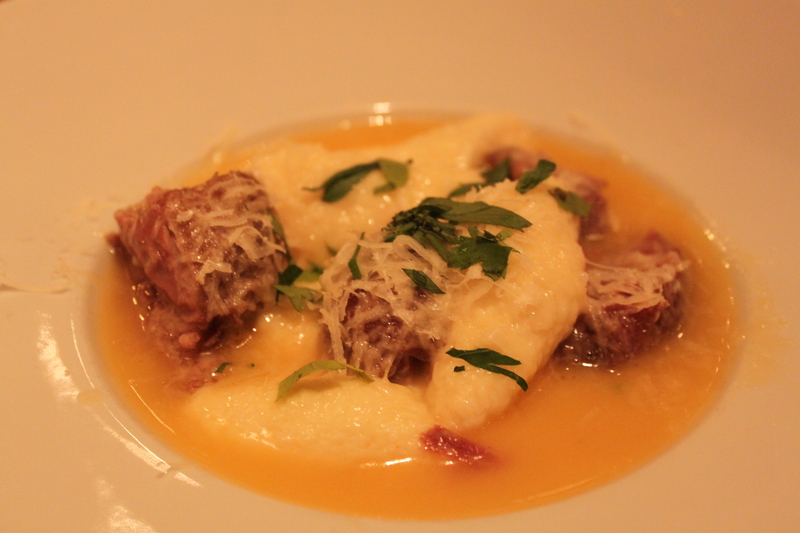 The Gnudi literally melts in your mouth. For dessert I ordered the Affogato, which is coffee-based dessert with espresso and gelato. Usually the espresso is poured over the gelato but I kept it deconstructed and ate the gelato (rich and creamy) and gave the espresso to my dining partner. A glass of Romano Sambuca to help everything digest and we left full, happy and satisfied. Exactly what you should feel like after an Italian meal.